Isn't this just the happiest little mini?! I love it. Pattern is by my friend Diana of Fabricate Studios. It finished at 23" square. I used a charm pack of Michael Miller solids for the stars and some Cotton + Steel Netorious in Kerchief for the background and it's bound with Kite Tail by Alison Glass. I did a little straight line quilting to accent the stars and voila! Done! Heading to my swap partner this week who I hope likes it as much as I do. This week I feel like sewing is my super power! I'm always amazed that you take a pile of fabric and thread and create something so much more than the sum of it's parts. 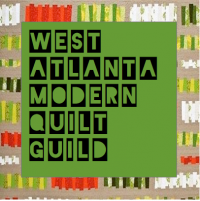 So my good friend was involved in a mini quilt swap on Instagram that was poorly organized and had a HUGE number of flakers who never sent anything at all. It was a complicated project that involved a number of choices that all included paper piecing, english paper piecing, hand sewing and embroidery. Honestly it was the kind of thing I would NEVER have made for a complete stranger because of the amount of work involved and the uncertainty of what you'd receive in return (if anything). So my friend received nothing. This is the exact mini she made her partner and so I made it for her. And I loved doing it knowing she would really value the time and effort I put into it. Vintage 5" charm squares were machine sewn and then the bee was hand embroidered on top. It was hand-quilted with perle cotton and bound with HAND sewn binding. I'm hoping this makes her as happy as it made me to make it. 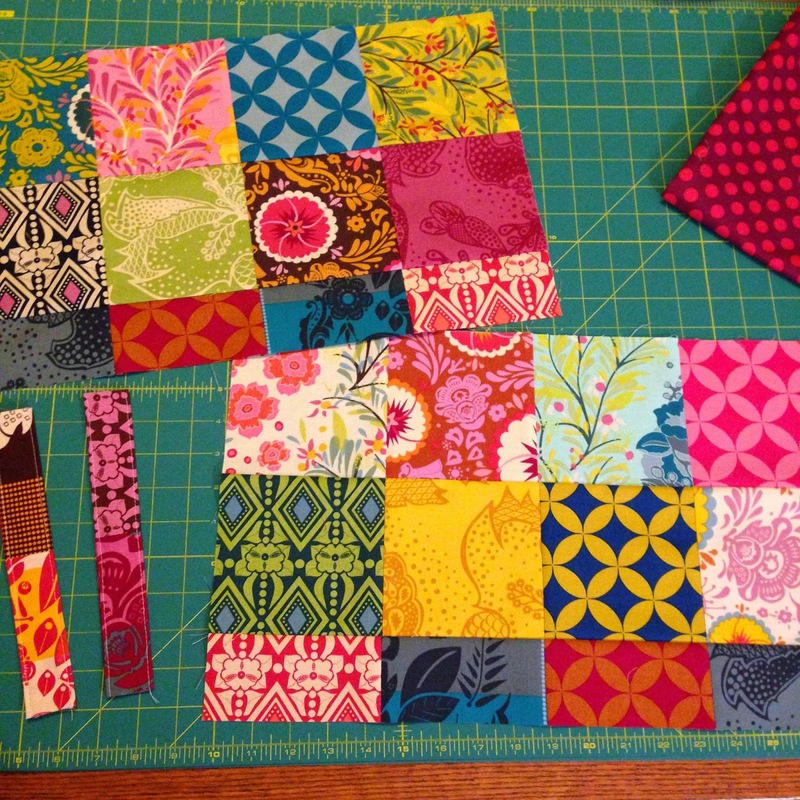 I used 20 charm squares (5") with one row cut in half after I sewed them together to attach to the 8 charm panels on the bottom of each. I used 2 charms sewn together for the handles - trimmed to be the right length (9") after I sewed them together. I ended up with panels a bit bigger than what Kelly's pattern calls for - mine were 18.5"x 11.5" but I wasn't about to trim off any Good Folks so I just used them as they were with all her other measurements kept the same and they turned out fine. I used fusible fleece on the exterior panels and quilted them a little after fusing the fleece on - next time I'll put ShapeFlex interfacing on the interior pieces if I'm using all quilting cotton just to make it a little sturdier. Overall two thumbs up! Quick, easy and cute! Find the tutorial here on Kelby Sews. I had the pleasure of testing the Campfire Messenger Bag pattern for Anna Graham before I went to QuiltCon and I love how it turned out! 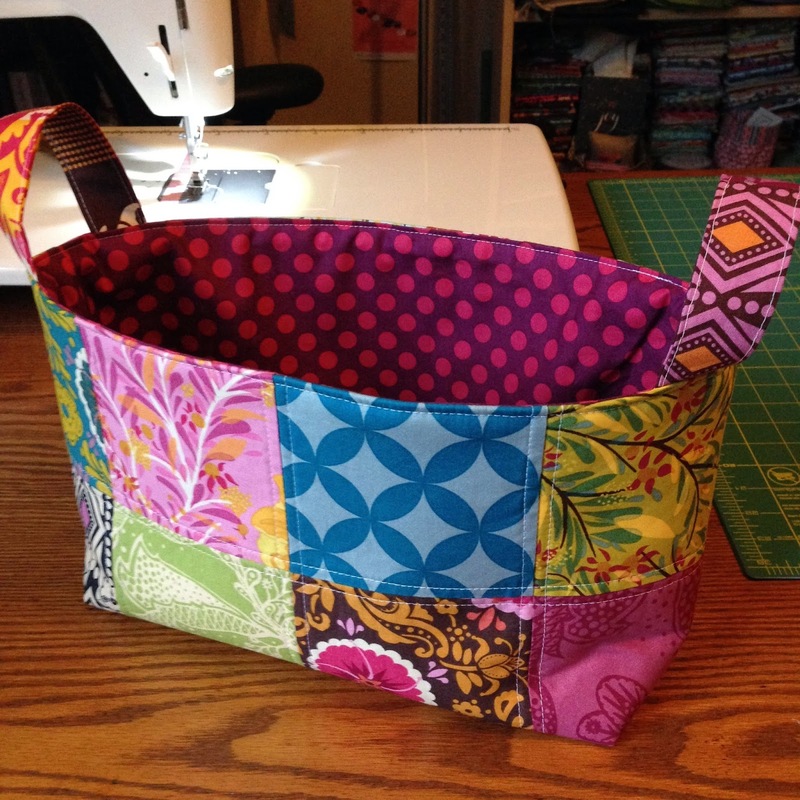 This pattern is the March bag for the Bag-of-the-Month club over at Sew Sweetness. Sara has a stellar set of bag designers lined up and it's a great value if you like making bags (and you guys know I do ;-). I think it will be available as a stand alone pattern from Anna in the summer (July-ish). So this is a cross-body style messenger bag that finishes at about 9"x12"x2.5" - it's a good size to use as a purse, hiking bag or even camera bag. It uses Soft & Stable on the body so it's a nice sturdy bag and seems like it would provide some protection if you did want to use it for camera stuff. Aside - am I fooling myself here thinking that anyone still carries around a camera? I know I've pretty much gone to iPhone photos except for blog posts which I mostly shoot at home. Just curious. Back to the bag, it has great pockets (I love pockets - the more the better) as well as an inset zipper on the front which is nice if you want to keep anything really safe. I love the binding closure around the top edges too - so much easier than turning a bag inside out, plus that additional pop of color looks great. This pattern is fairly involved but none of the steps are difficult, you just need to be organized. That's just what works for me - if you have the uninterrupted time to sit down and sew then yay for you and I'm a little jealous. I used Cotton + Steel arrows for flap, Essex yarn dyed Linen in Flax for the body, a navy Kona for the accent and a seafoam Painter's Canvas from Laura Gunn for the lining. If you have any questions please let me know and I'll be happy to provide any other info that I can. Thanks again to Anna Graham for the opportunity to test another great bag pattern.